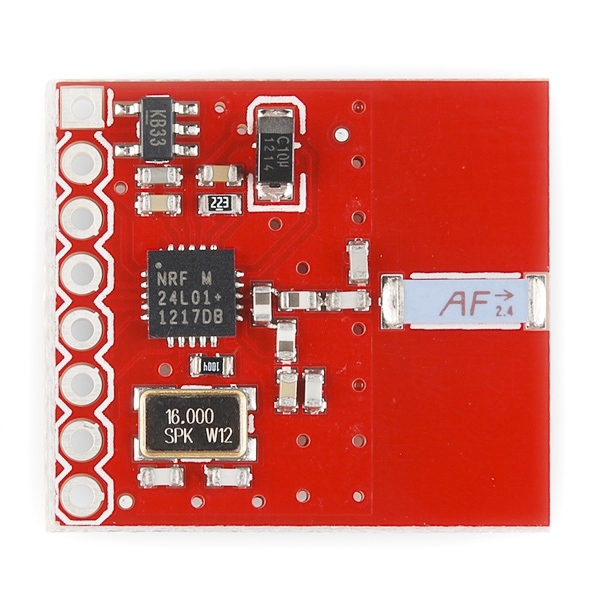 This module uses the newest 2.4GHz transceiver from Nordic Semiconductor, the nRF24L01+. This transceiver IC operates in the 2.4GHz band and has many new features! 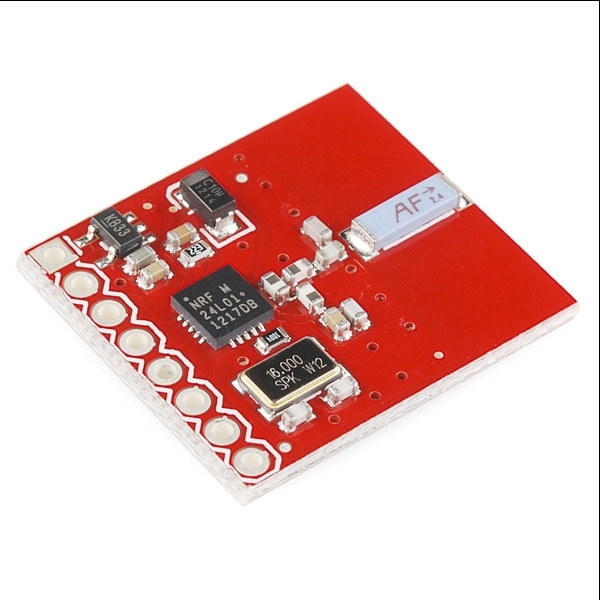 Take all the coolness of the nRF2401A and add some extra pipelines, buffers, and an auto-retransmit feature - very nice! 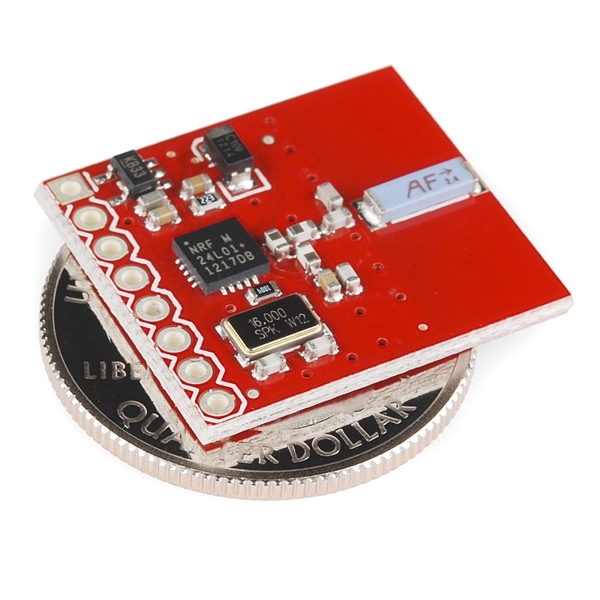 Please note: We now populate these boards with the nRF24L01+. The '+' version of the IC has improved range, sensitivity, and data rates. 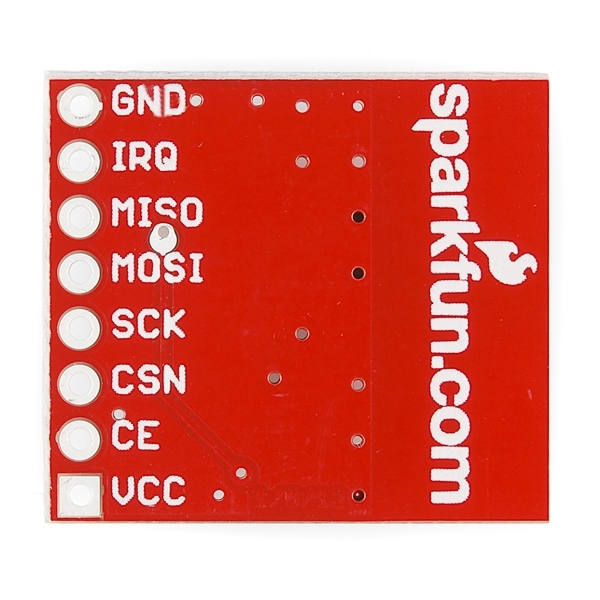 The command set is backward compatible with the original nRF24L01.